hello isavirtue readers! for some of you, this post may be an unexpected surprise. for others, you have come specifically to hear the announcement of the "send something good" project. either way, i hope you all participate in what we anticipate to be one of the largest blogger postal swaps you've ever seen! we ask kindly that you read the whole post in order to get an understanding of the project. if you would like to refer back to the details of this awesome project - bookmark this page. there's buttons on that page as well! for the rest - i'll let gentri lee, the creator of this project take it from here! "I couldn't be more excited about this project. It's going to be a blast! But before I get into that, I want to explain where it came from... Some of you may have heard of a little project called "Package Pals". Last fall a blogger from Germany and myself exchanged packages. They were filled with our favorite treats - treats the other blogger had always wanted to try from our own country, plus some other goodies that were specific to our country. When I posted about it on my blog, I had no idea what I was getting myself into. But I was exhausted. It was no easy task, there were bumps along the way, and now that I am in school, I do not have the time it takes to organize another round. A month or so ago I received an email from Kaitlyn. She and Kristy had both participated in the first round, knew my dilemma of not having time (or the technical skills) to pull it off myself again, and had a lot of great and new ideas of how to run it this next time around. I was THRILLED, and "Package Pals" become the "Send Something Good" project! (Lets face it, Package Pals wasn't the best name to begin with. haha! Remember, I brought this project to life in less than 24 hrs) They both have the exact qualities and abilities to make this project be what I know it can be. 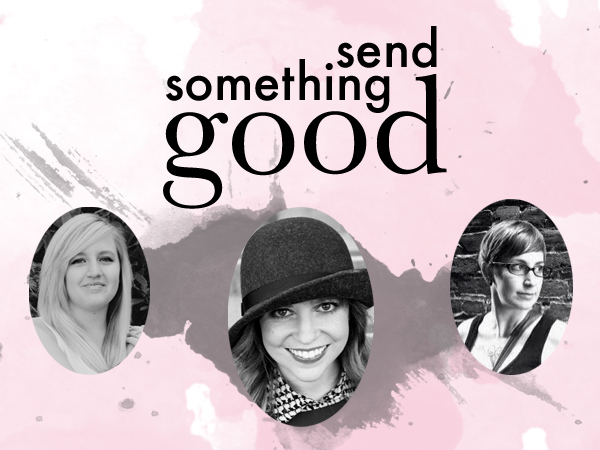 So with new ideas, direction, and a fresh new name, "Send Something Good" is ready to launch! 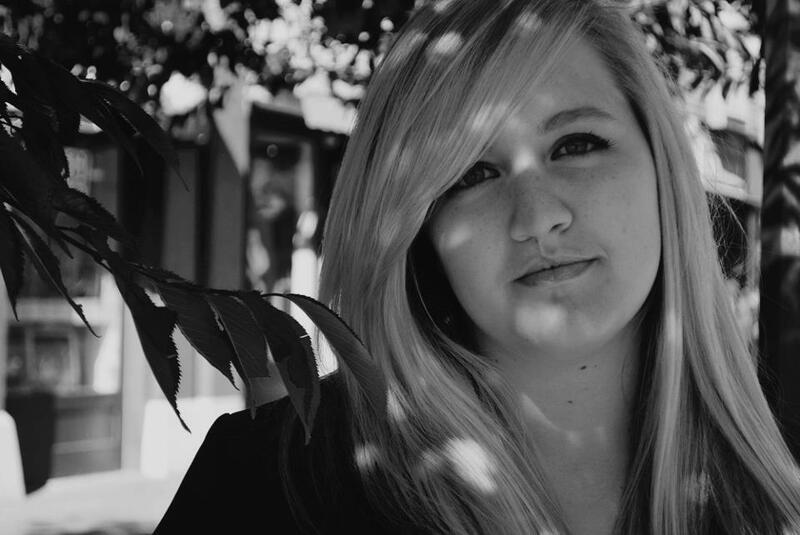 A big thank you to Kaitlyn and Kristy, this wouldn't be happening without them. It's going to be a little different this time around. Instead of having a "partner" it's going to be round robin. Everyone will have a different blogger that they're assigned to "get to know" kind of like a secret sister. Read their blog, find out their interests, email back and forth, but don't tell them WHY. When shopping for your blogger, take into account not only their interests, but things that are specific to your area of the world. This project is ALL about bringing us together, making friends all over the world, and learning something new about somewhere you've never been. This doesn't require you to spend a lot of money. Get personal in what you include in your package. Maybe a favorite book that you don't mind passing on, a necklace you made, a package of seeds from your favorite flower, or a friendship bracelet! You also don't have to have a blogger from a different country. I know that can get expensive. So just specify your preference when you sign up. To sign up, read the fine print below, and then email sendsomethinggood2012(at)gmail(dot)com. you are also welcome to purchase send something good products from Kaitlyn's shoppe at 20% off with the discount code SENDSOMETHINGGOOD. They're the perfect addition to your "Send Something Good" package. :) The first week will be the best time to purchase, it might not reach you in time if you wait. This is going to be an AMAZING project, I can FEEL it! Don't forget to spread the word! " two | those who sign up will have until one week after the project is announced (april 5.12-april 12.12) to opt out (should you change your mind or find you will not have the time) once this time has past, we will consider you committed to the project. four | if a blogger should become orphaned for the above reasons, you promise to be open to the idea of sending another parcel out of the goodness of your heart. we hope this doesn't happen, but if it does, we will sent out an APB (mass email) and politely beg for someone to pick up the orphan and send them something good! five | if you are planning a move in the next two months, it could get tricky because your parcel could technically arrive anytime in april or may. if this is the case, we would prefer that you wait until the next round of this project. six | ideally you are a blogger, with a blog. that way, whoever gets your name will be able to learn about you through your online space. in addition, you will be able to link-up on reveal day (may 28.12) when we all share our something good parcels! if you still want to participate, but you don't have a blog, or an updated blog, please also include with your contact info five things about yourself and five types of material things that you love. nine | there is no monetary minimum or maximum in which to spend on your parcel. you can re-purpose household items, make something by hand, purchase special trinkets or re-gift something that you think would better suit your assigned blogger. get to know your blogger and try to send them things that they might like, but you can also share things that mean something to you, or things that may not be available in their location! oh oh I forgot I got your goodies today and first I didn't even want to open the envelope so pretty!! Looking forward to this awesome idea. Glad to be a part of it! oh man, so glad I found this! I participated in Gentri Lee's first package pal exchange and it was so much fun! Definitely joining in! I can't wait to find out who my blogger is!!! I have so many ideas of what I will send her! And... I just bought the paper to wrap it in! Thrilled over here! !